Living in San Francisco comes with the added benefit of everyone wanting to visit. It's picturesque, there is excellent food, and an incredible array of museums and beautiful places to walk through. I am usually the tour guide. 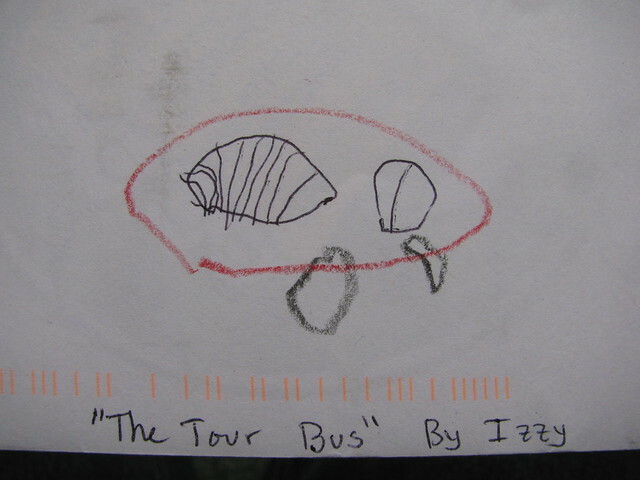 My bus is often the tour bus. Some friends from Los Angeles were here a couple of weeks, ago, I took them to twin peaks, and around various pretty parts of town. Their daughter drew a picture for me. I'll frame it and put it next to my other VW related pictures. Pulley Problems, A tale of four generators. This is going to take a while, and is somewhat tech heavy, so if you want to skip to the end, I won’t blame you. In October of 2010, I drove out to Colorado and back. Around 100 miles outside of Reno, my red warning light came on. I pulled over, checked everything I could, and found that I just wasn’t charging. (A.K.A. the belt was fine, so I didn’t need to be towed) I made it to Sacramento before I couldn’t drive anymore, and left the car at a mechanics. They replaced the voltage regulator, and the generator. I made it fifty miles before the red light came on again – bad generator. They replaced it again, this time I made it 100 miles before it froze up. Again, bad generator, I replaced it this time at home after pulling it out in my garage. My third new generator lasted me until a week ago when the fan started to rub against the housing. This is where my warning tale begins. I “tweaked” with the fan housing – slight adjustment of the screws, repositioned the generator strap etc. None of the tweaking would keep the fan from rubbing. I reached behind the fan housing, and grabbed the fan with my fingers. It lifted and lowered and rattled each time I pulled gently on it. No amount of tweaking was going to fix the problem, chances are pretty good the bushing in the generator was bad. So I pulled apart the engine as much as I needed to and remove the fan-generator. The generator has been replaced, and all is back and working. It cost about $100 for a generator and misc parts, and about 6 hours of my time. 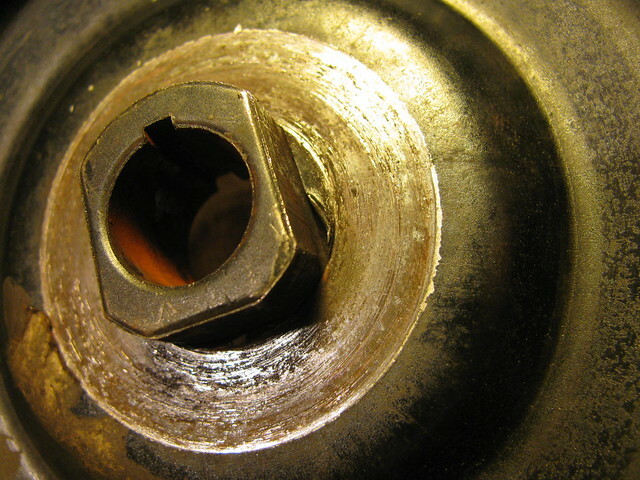 Then there was the nagging question – why did the bushing fail? I could assume that it was assembled poorly – based on previous experience, this wouldn’t have been a bad guess. However, Dr. Watson, let’s examine some other evidence. -I had been replacing the fan belt far too often. It kept stretching beyond normal. For some reason, I didn’t think too much about it. -The startups had been unreasonably shaky. The engine shook more than it had previously. Again, I didn’t think much about it as it became smooth once the engine warmed up. -During my last long drive, I noticed a resonance, a pulse if you will, at various RPM’s. Again, didn’t think much about it. But what should have slapped me in the face was the pulley. The pulley had been a problem ever since I got it replaced from the shop back in 2010. The metal was softer than it should have been. It bent each time I removed and replace the fan. I never used more than 2 shims even with a new fan belt. This should have been an ugly warning sign, but in my haste to go back and forth to L.A., I just didn’t pay attention. Here’s a picture. 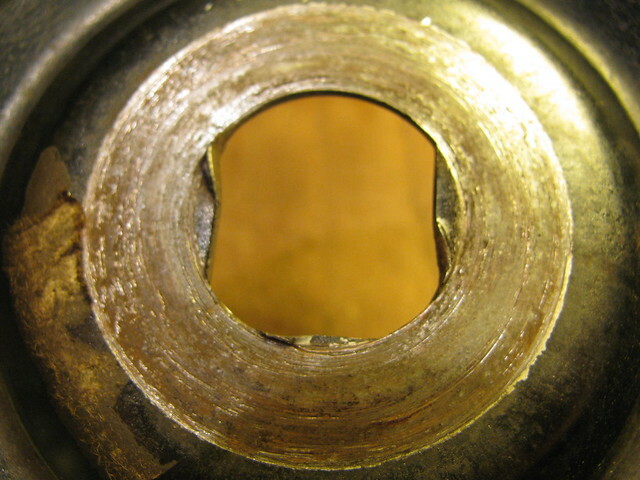 Notice the gaps in the metal where the pulley front half slides over the armature. The two halves of the pulley rattle back and forth – there should be no movement – it should act as one solid piece once they pulley screw is tightened. So in order, let’s deduce another possibility. -The pulley is loose, rattles, and because of the soft metal, it heats up. -The resonance begins to gouge the generator bushing – ever so slightly – but enough to cause the bushing to fail. The fan then begins to rub, and the problem becomes apparent. Another note about pulleys and poor-performance parts. You can buy a pulley for about 8 bucks. You can also buy one for about 20. I am going to assume that the difference between the 8 dollar one and the 20 dollar one is the quality of the metal, method it was made, etc. For a 12 dollar difference, I could have saved myself an afternoon and a new generator, not to mention all the belts that I ate. And while I’m on the topic, the generator strap cracked too. I didn’t find that out until I tried to reinstall the new generator. Yet another trip to the parts store. Listen to your experience. I knew that the pulley was a problem. I ignored it. Listen to your engine. I did hear this problem. Glad I caught it before it became too serious. Buy the best parts you can afford. 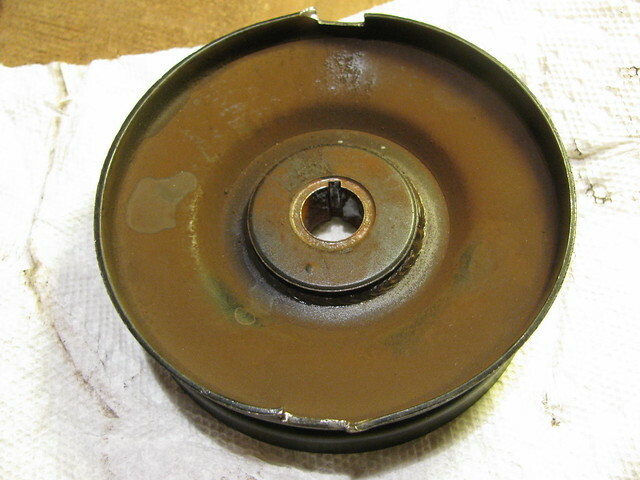 Seriously – there is no excuse for a crappy pulley, not when it is such a crucial part to the engine operation. Drive your Bus. This problem was identified after three trips up and down the California coast. Much of it was on a freeway where I had time to zone (zen) out and just listen to the vehicle. I recognized the problem aurally, but like an idiot, I ignored it. Don’t be me. Happy travelling. Did I mention that you should check that pulley? And your fuel lines? Post script: While at the VW show at the California auto museum, I ran into the mechanic who has sold me all three bad generators. He sighed, rolled his eyes, and said to bring it back and he’ll cover it under warranty. He also mentioned that I am not the only lucky one, a few people have had this problem. So, in all likelihood, this problem was just another bad generator. However, that doesn’t negate the pulley issue. 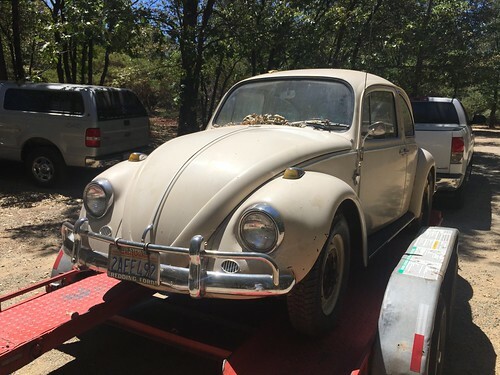 VW people like to mention bad mechanics and bad experience with bad shops. I'd like to mention the other half. Justin at Kombihouse in Sacramento has been honest, fair, understanding, and has stood behind his shops work from the moment I took it there back in 2010. Their work has been good, it is unfortunate that the parts have been crap, and not their fault. Highly recommended, consider this an endorsement.